The Samsung Fest is on and it will last till July 26. The products are available on Amazon with a hefty price cut and exchange offers. We have prepared a list of smartphones that are on sale at the Samsung Fest, which is going on Amazon right now. The list contains products like the Galaxy On7 Prime, On5 Pro, Galaxy J8 and more. The Samsung Galaxy On7 Prime sports a 5.5-inch full HD display with a resolution of 1920 x 1080 pixels. The device is backed by a 1.6GHz Exynos 7870 octa-core processor, which is paired with 4GB RAM and 64GB of internal memory. When it comes to the cameras, it has 13MP sensors both the sides of the phone. Click here to buy. The Samsung On7 Pro runs on Android 6.0 Marshmallow and is backed by a 1.2GHz Cortex A-53 Qualcomm Snapdragon 410 quad-core processor. The smartphone comes with 2GB RAM and 16GB of internal memory. As far as the cameras are concerned, it has a 5MP unit at the front, while at the back it has a 13MP sensor. Click here to buy. This is the 32GB variant of the Samsung Galaxy On7 Prime that we mentioned earlier in the list. It has the same specification as the 64GB variant except that it offers 3GB RAM and 32GB of storage. Click here to buy. 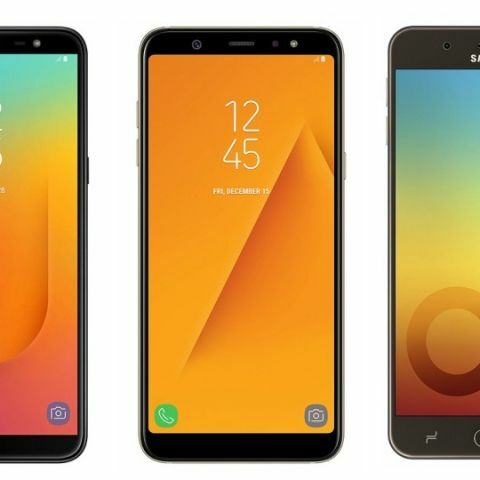 The Samsung Galaxy A8+ features a 2.2GHz + 1.6GHz Exynos 7885 octa-core processor, which is paired with 6GB RAM and 64GB of internal memory, which is expandable up to 256GB. The attractive point of this phone is its front camera. The smartphone is equipped with an 8MP + 16MP cameras at the front. While at the back, it has a 16MP sensor. Click here to buy. The Samsung Galaxy A6 Plus offers a 6-inch full HD Super AMOLED display with a resolution of 1920 x 1080 pixels. It comes with Android 8.0 Oreo operating system with 1.8GHz Qualcomm Snapdragon 450 octa-core processor. The device consists of 4GB RAM and 64GB internal memory that is expandable up to 256GB. Click here to buy. Is it good decesion to buy CHUWI Hi8 Pro/CHUWI Hi10 Plus tablet from Aliexpress 11.11 sale ?